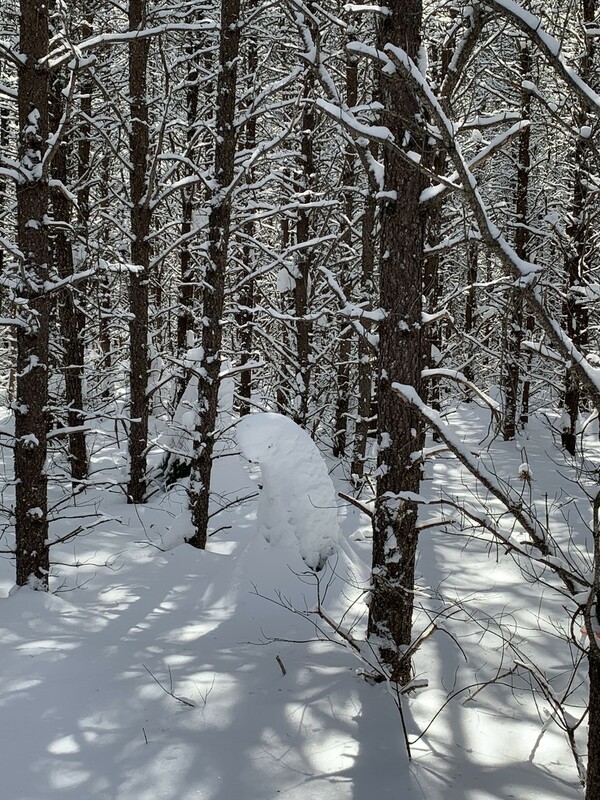 There were neat shapes in the bush during our snowshoe. Fantastic -- slumping critter hiding out in the woods. Mother Nature attempted to build a snow man! A winter monster? Lovely capture. All alone am I !! - great find ! Nice find. Watch out for the monsters. Brrr! Great winter capture. Interesting shapes in there, too. Your snowmonster was afraid of the sun.......Is the cold getting a little less? @jacqbb Our cold temperatures are warming up nicely! Thanks for stopping by! In fact, the more I study it, the more poetic the image feels. Love the snowy branches and fun shapes!